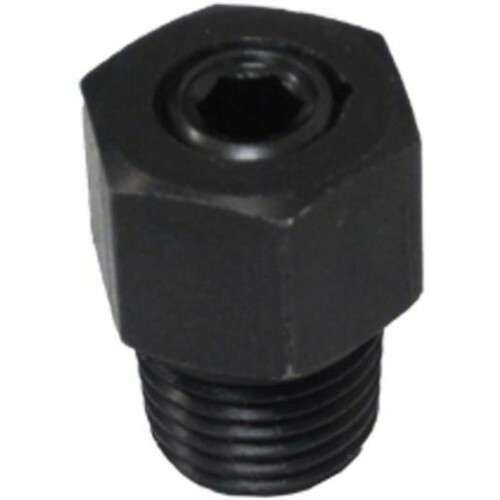 The Maxton Bleed Port 1/4" NPT is a machined part with black oxide finish that complies with ASME A17.1. This part was designed to aid in the bleeding of air from the jack during installation, oil replacement, or other repairs where unwanted air might enter the jack. No more oil showers or worn out threads in the jack when typical pipe drain plugs were used. Simply back out the center set screw slightly releasing air while leaving the main 5/8" body attached to the jack.